Yellow monkeyflowers carpet the ground along the Dog Mountain Trail in Washington State, overlooking the Columbia River Gorge. 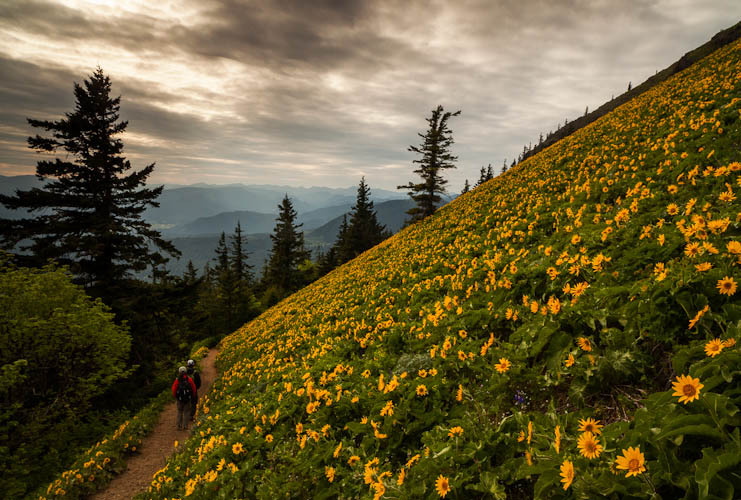 Male and female companions hike in the evening along the Dog Mountain Trail in Washington State during the peak bloom of Balsamroot flowers. 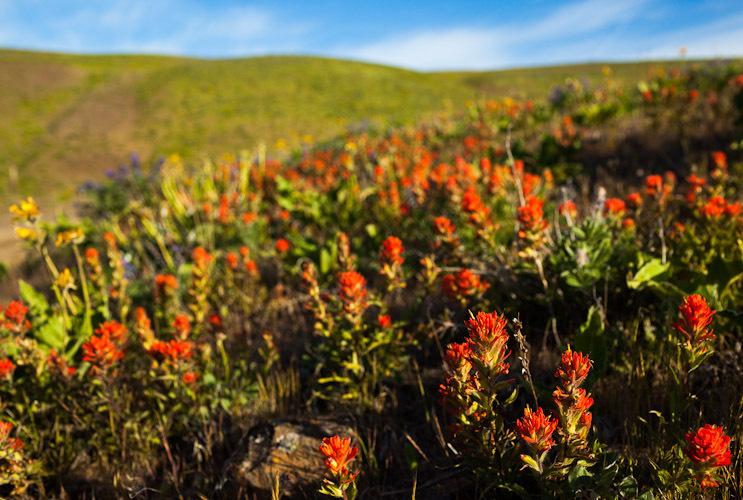 Red Castilleja flowers carpet the ground in Oregon at the Columbia River Gorge. 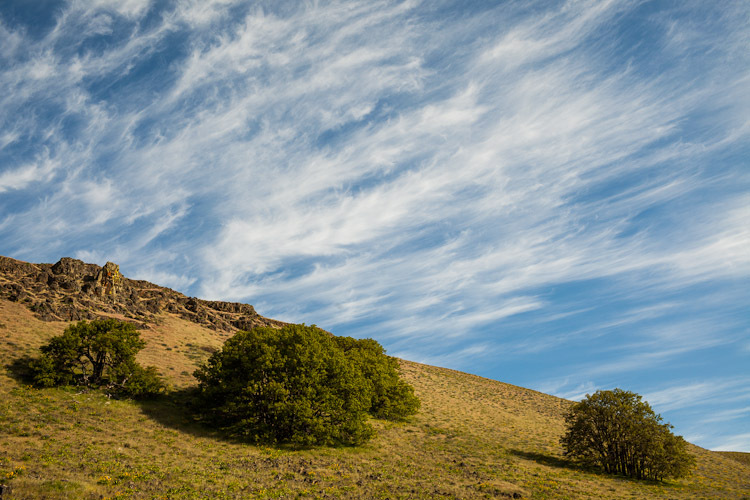 Wispy tendrils of cirrus clouds dominate the sky above a rocky, tree-covered hillside in Oregon. 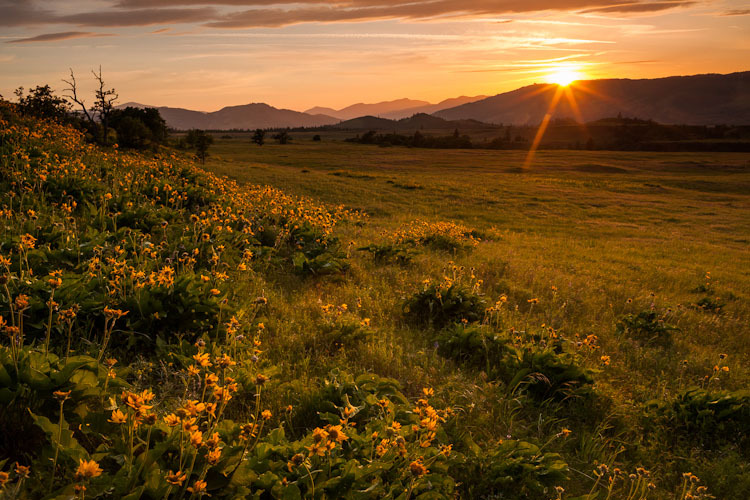 Yellow Balsamroot flowers point toward swirling cirrus clouds in a blue sky near the Columbia River Gorge in Oregon. 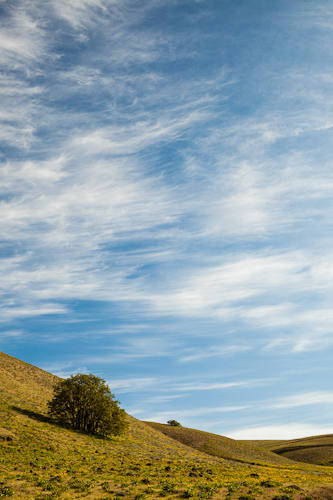 White, wispy horizontal clouds fill the sky above balsamroot-covered hills in Oregon. 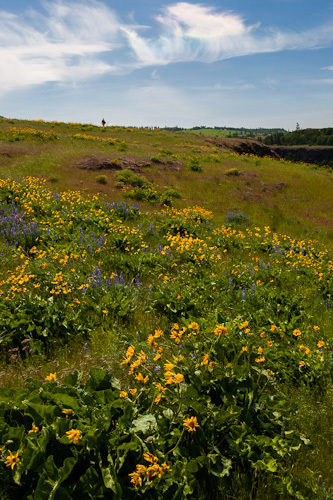 A man walks along a trail lined with balsamroot and lupine flowers as an iridescent circumhorizontal arc forms overhead in the clouds, commonly referred to as a "fire rainbow". 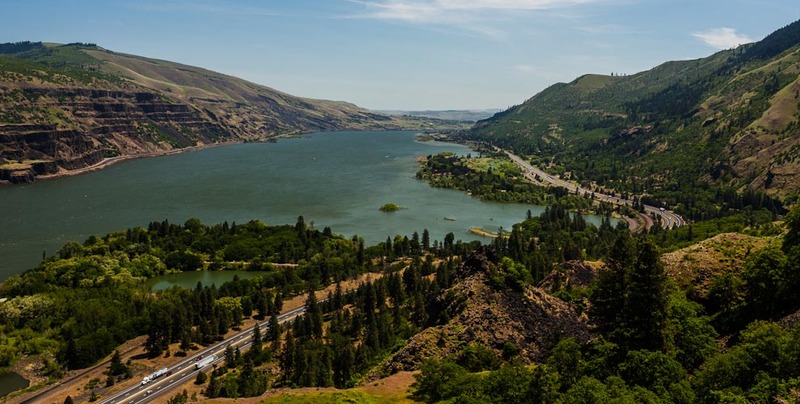 The Columbia River Gorge separates Oregon and Washington state, seen looking East from a rocky overlook. 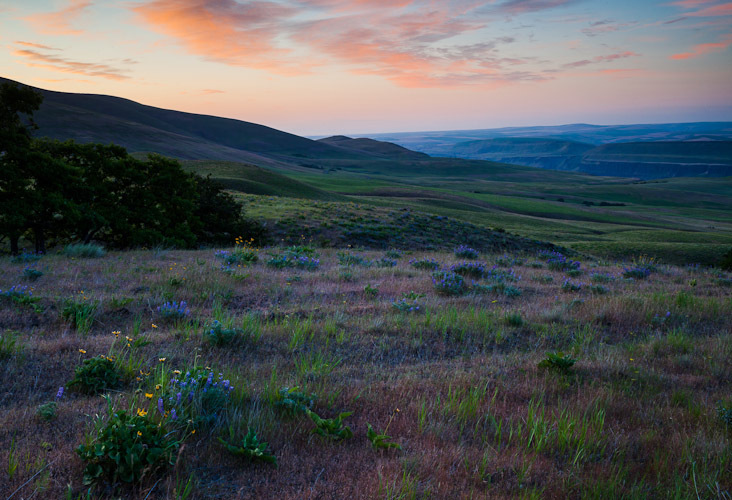 Lupine flowers and Balsamroot flowers cover the ground during a pastel-colored sunrise at the Columbia River Gorge in Washington State. 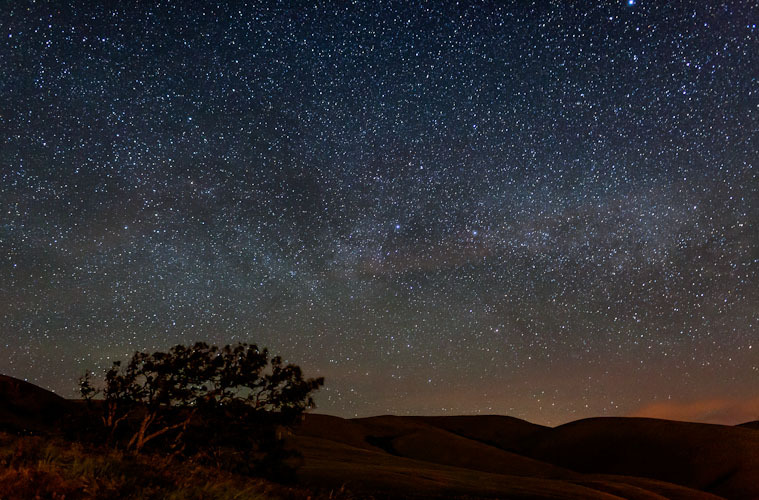 "My God.....It's full of stars....." Millions of stars and the Milky Way are seen near the Columbia River Gorge in Washington State at night.